International Forest Festival is Back! D-1 from LaLaLa Festival 2018, and we can’t be more excited! The International forest festival will be held on Saturday, 10 March 2018 in the perplexing woodland of Orchid Forest Cikole. 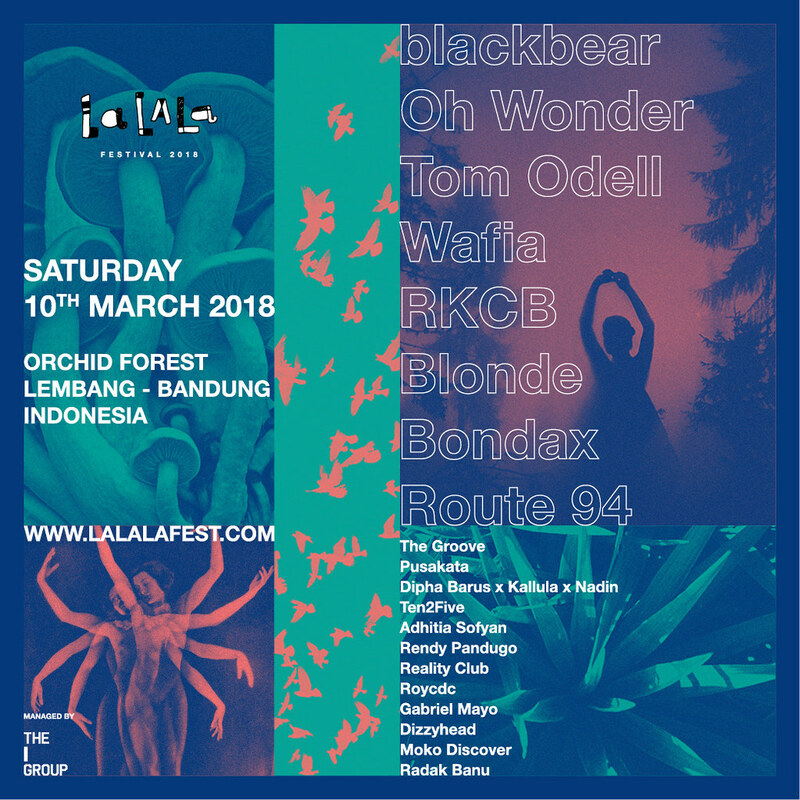 Bakal banyak artis internasional dan lokal yang akan tampil di panggung LaLaLa Festival 2018 seperti ; Blackbear, Oh Wonder, Tom Odell dan lainnya! Kemudian untuk musisi lokal akan ada Rendy Pandugo, Pusakata, Adhitya Sofyan, Reality Club, The Groove, Ten2Five, Dipha Barus dan masih banyak lagi! So what are you waiting for? Join us in the celebration of music in the middle of forest with amazing guest stars at LaLaLa Festival 2018! Tagged forestfestival, lalalafest2018, livemusic, liveperformance, music.